We are always seeking out the best seasonal special offers in Sri Lanka so you can enjoy your holiday at the best rates. Let us know of your preferences and we will be on the lookout to offer you tailor made experiences that can be customised to suit your needs at reduced prices. Looking for a quick escape? This tour entails the best of hill country and beach for those spontaneous travellers. Travel to Dambulla, a cultural point in the island. 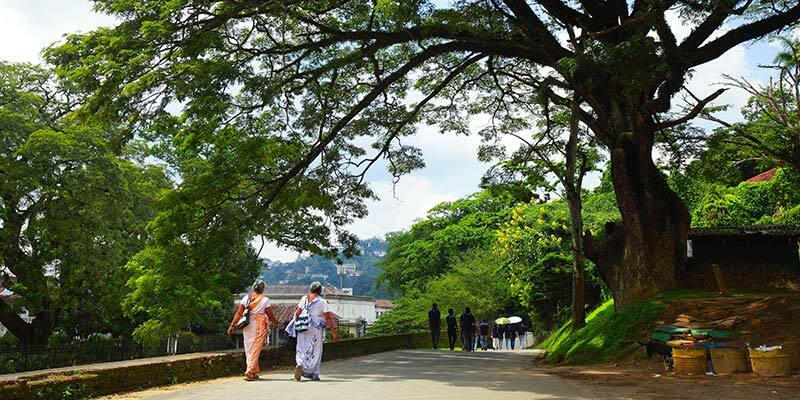 Spend a day exploring the sacred city of Kandy followed by a night in the misty hill country to witness production of the world-renowned Ceylon Tea. A night in a Colombo to unwind and indulge, concluding your stay with shopping, dining and other fun activities in the Commercial Capital. Accommodation in 3-star hotels on bed and breakfast meal plan for 4 nights. Transport in air-conditioned luxury car with the services of English-speaking chauffeur guide. Any entrance fees not mentioned under “cost includes” section. Photography, Videography or drone licenses. 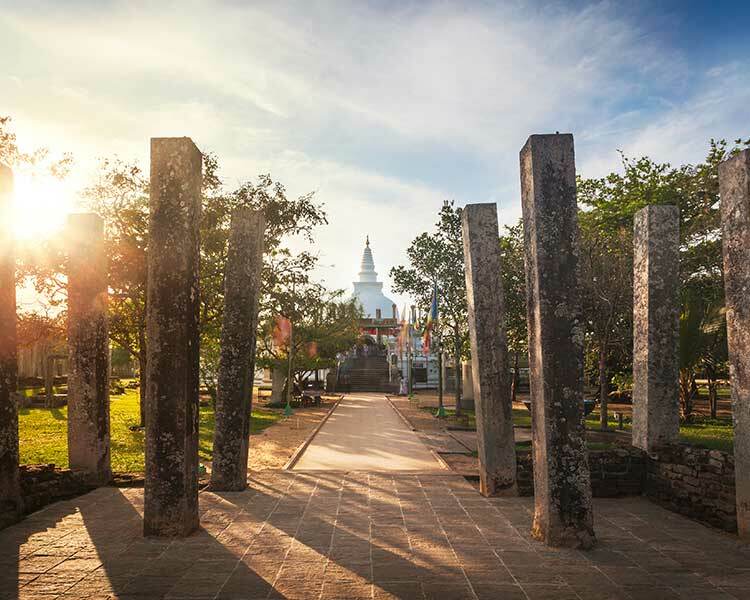 On arrival, you will be met by our George Steuart Chauffeur Guide and transferred to Dambulla. En-route visit Pinnawala elephant orphanage and Dambulla Cave temple. The Elephant Orphanage,, located on the banks of the Maha Oya, is mainly to house young elephants who find themselves displaced and lost from their natural habitats for various reasons - environmental changes due to development projects, being abandoned by their parents when they fall into pits & ravines, etc. The most interesting times to visit is at feeding or bathing time. Dambulla Cave Temple There are five caves (shrine rooms) in Dambulla temple. All of these caves arc full of statues of Buddha and various personages of the Buddhist Order or History. There are 150 Buddha images in these caves. Cave No. 5 (the last in order) has no historical value as it was done in the second decade of this century. All of the other caves contain statues and paintings representing various epochs of Sinhalese sculpture and paintings. The early paintings of Dambulla are believed by some to belong to the 8th century A. C. But this cannot be proved at all because of over painting. Nevertheless, this place is a mine of decorative designs, the patterns of which resemble those of Sigiriya. Proceed to Dambulla, hotel check-in scheduled from 2.00 PM onwards. Visit Sigiriya Rock Fortress in the evening. Sigiriya Rock Fortress -- which is a world heritage site, built by king Kashyapa (473 “491 A.D). The Lion rock is a citadel of unusual beauty rising 200 meters from the scrub jungle. The rock was the innermost stronghold of the 70-hectare fortified town. The base of the rock is ringed by a moat, rampart, and extensive gardens including the renowned water gardens. The world-renowned frescoes of the heavenly maidens of Sigiriya which are in a sheltered pocket of the rock approached by a spiral stairway are one of the main attractions. The frescoes are painted in earth pigments on plaster. Overnight stay in Dambulla on BB basis. Morning Jeep safari in Minneriya National Park at 6.30 AM with packed breakfast. Leave for Kandy and en-route visit a spice garden. Proceed to Kandy, hotel check-in scheduled from 2.00 PM onwards. Visit Kandy Temple of the tooth and enjoy cultural dance show in the evening. The Temple of the Toothis an art and history lover’s paradise. The first thing a visitor sees as they approach the entrance gates which lie over the moat is the large carved entrance arch with its elephants on either side. The ground before the entrance has a carved ‘welcome mat’, also known as a ‘moon stone’. The moonstone is similar to a full moon cut in half with rows of animals and other carvings depicted in concentric rows inside the sector. The flat area is placed along the edge of the entrance with the curved area facing the visitor. Overnight stay in Kandy on BB basis. Leave for Nuwara Eliya after breakfast. En-route visit Sri Bakta Hanuman temple, Ramboda falls and a tea factory. Proceed to Nuwara Eliya, hotel check-in scheduled from 2.00 PM onwards. Nuwara Eliya is the heart of Sri Lankan hill country. 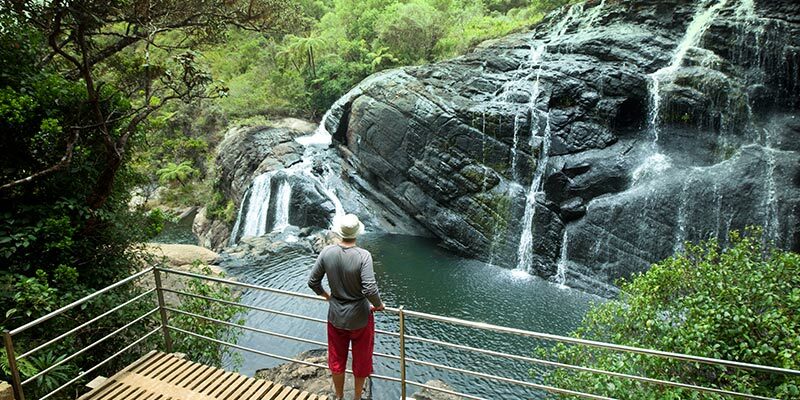 It is the home of the famous Ceylon Tea and the rolling mountains are a carpet of velvety green tea plantations, interspersed with gushing streams and tumbling waterfalls. The salubrious climate, misty glens and the decidedly British character make Nuwara Eliya a must on any Sri Lankan travel itinerary. Take a walk around the Gregory lake. Overnight stay in Nuwara Eliya on BB basis. Leave for Colombo after breakfast. Proceed to Colombo, hotel check-in scheduled from 2.00 PM onwards. Colombo city/shopping tour in the evening. Like many capital cities in developing countries Colombo is fast changing its face. Almost overnight, skyscrapers arise from where old buildings once stood, yet in some parts; the old-world charm is retained. A 100-year-old clock tower and several British built, colonial buildings are still to be seen in the city. The Pettah bazaar – where one can shop for bargains, a Hindu and a Buddhist temple, residential areas where you find the stately homes of the affluent, the Colombo museum, the Bandaranaike memorial international conference hall – an outright gift to Sri Lanka from the people’s republic of china, the new parliament in Sri Jayewardenepura and the folk-art centre are some of the places of interest that one can visit to. Overnight stay in Colombo on BB basis. Check-out after breakfast and leave for the airport to meet departure flight. According to chronicles, Dambulla was initially referred to as Jambukola or Jambukolalena. The most significant area of the city are the Dambulla Caves.